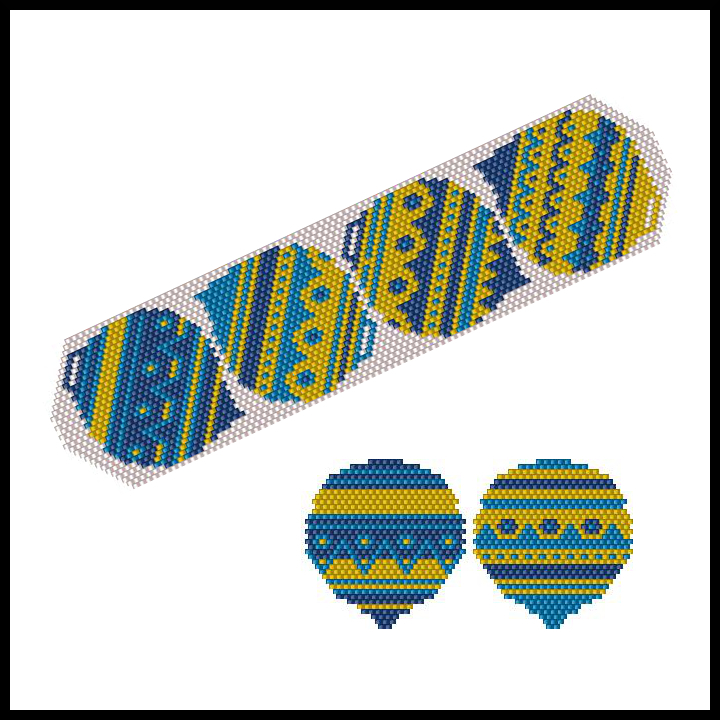 Celebrate the 4th of July with this delightful odd-count peyote bracelet and matching earrings. 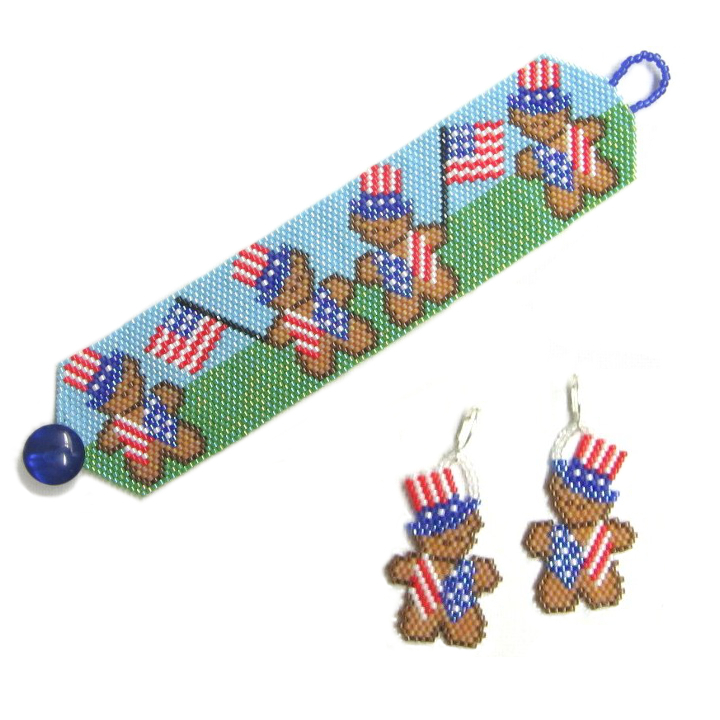 The bracelet features four flag-waving patriotic teddy bears. 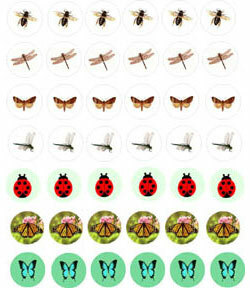 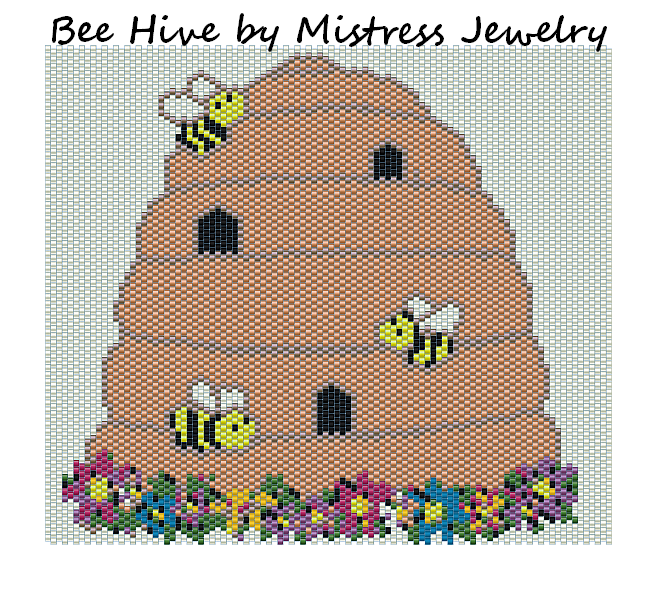 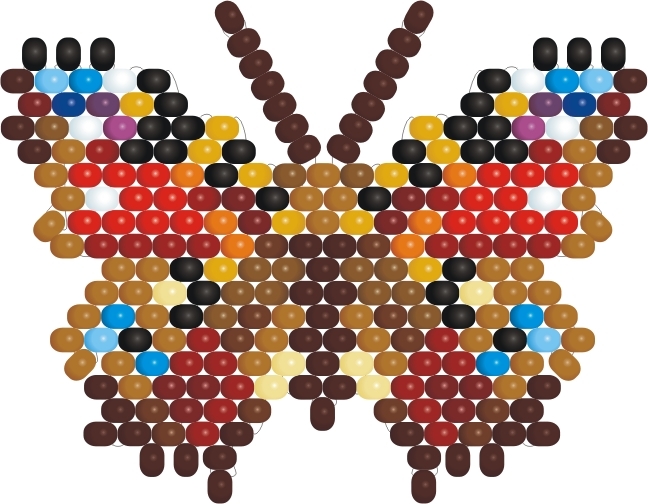 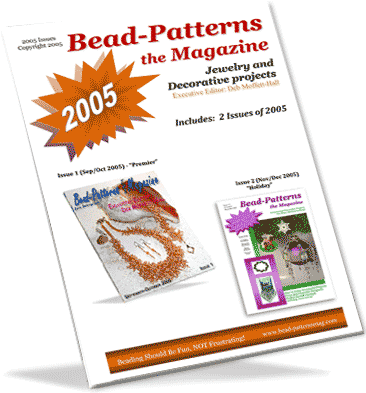 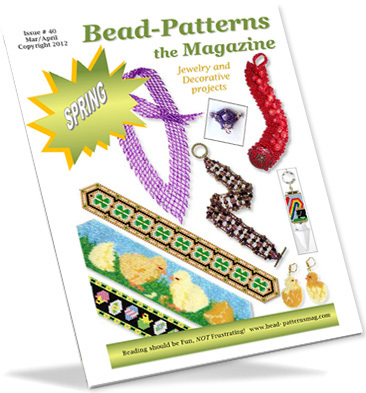 These patterns first appeared in Issue 36 (Jul/Aug 2011) of Bead-Patterns the Magazine. 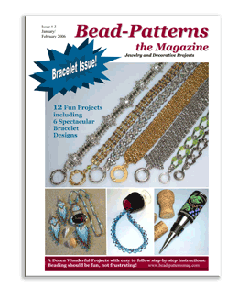 It includes a list of 9 recommended Delica bead colors and full color charts. 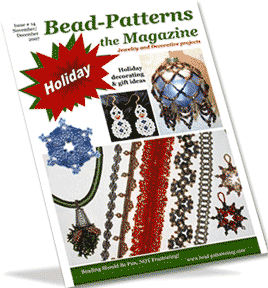 and A Beary Holly Xmas Bracelet (item #00017312). 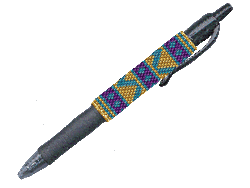 Basic peyote or brick stitch instructions are NOT included.